We run this tour according to demand. At present (Jan07) we do not have any Japan tour scheduled. eas of raked sand and azalea mountains. Rocks representing the world, and ponds that stretch from one universe to the other. Japan’s gardens are paradoxical; tiny and opulent, refined and huge, simple and complex, easy to see yet hard to grasp. The degree of complexity fascinated me while I lived in Japan. Gardens as a metaphor for the community within which I lived, and as entities themselves, were a constant revelation. Artistic expression through the use of topiary, rock work and a knowledge of how people move and interact with their environment was something totally new and fascinating to me. In springtime all the elements combine to make Japan’s gardens fresh and alive. Cherry blossoms, azalea blooms, irises, baby bamboo shoots and the fresh green foliage of Japan’s deciduous trees breaking out of winter’s austere boughs make for one of the significant changes of the year. To be able to share my interest and enthusiasm for Japan and it’s gardens with others, is really enjoyable, especially in the spring season. 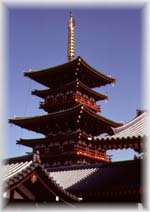 Kyoto (Japan’s cultural capital) and Mount Koya (famous for it's cedar temple-lodges) also feature on our itinerary. apan was described as having always been fashionable by Fosco Maraini and this observation is still true today. From the Shinden gardens of the Heian period ( 894 - 1185) with their Fishing and Spring pavilions and idealised versions of nature, to the ultra modern concrete water sculptures of Ando Tadao, Japan’s gardens have and will always be slightly outside the main stream. By visiting the ‘Paradise’ gardens of the late Heian period like Byodo-in in Kyoto, and the more classically recognised Karesansui (or landscape without plants or water) style typified by Ryoan-ji, you will get a feel for what it was that helped create the Japanese garden aesthetic. The Silver and Gold pavilions, so often depicted in Japanese calendars, are even more thought provoking seen in context. Originally parts of large villa complexes, the former was a synthesis of the Shinden, Paradise and Zen garden styles; the latter a more private place influenced by the rising importance of the tea ceremony and flower arranging. Kobori Enshu, perhaps the best known garden designer outside Japan. He worked in the Edo period which followed construction of the Silver and Gold pavilions. 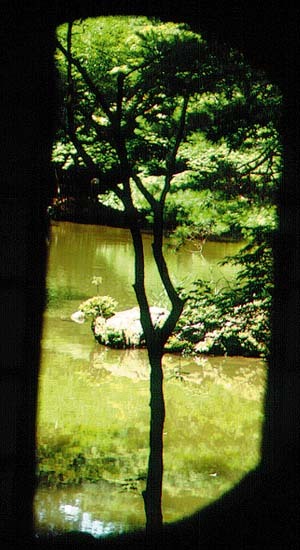 The Hojo garden at Nanzen-ji is a Sung-painting-inspired dry landscape by Enshu. 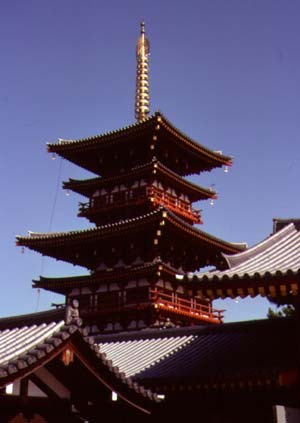 The same temple’s Konchi-in, a contemporary construction of the Hojo’s, exhibits what became Enshu’s trade mark, topiary. 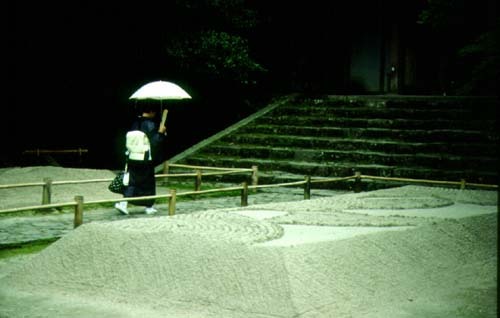 Konchi-in has clipped hedge mountains rather than what had previously been the norm, large and expensive rocks. 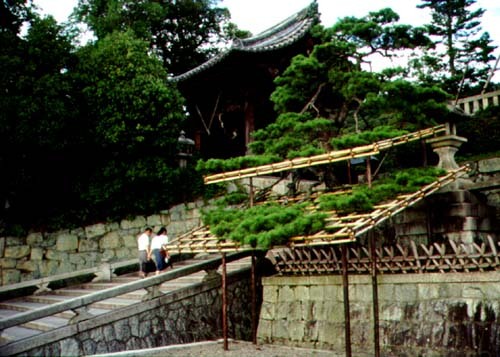 As Japan’s political strength moved from the priests to the warriors, so to did the style of garden construction change. Instead of being a place of contemplation, the garden became a show piece. 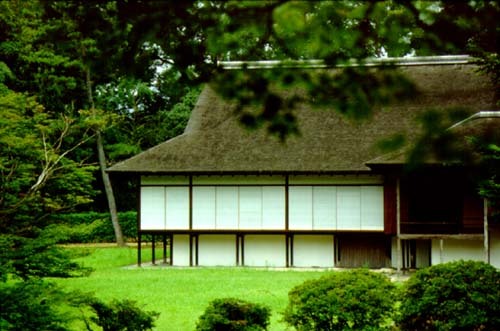 Sambo-in is a fine example, constructed in 1598 with 800 rocks. One of these rocks was the equivalent of sufficient rice to feed one thousand men for a year. However, it was not the flagrant display of wealth through gardens which endured into the following centuries, but another style of garden which was developing at the same time. This style had seen a slow progression from the early fifteenth century. It was the garden associated with tea and it’s preparation. 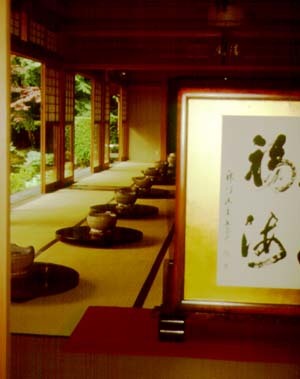 The tea ceremony and it’s garden stressed simplicity, not extravagance and these qualities have endured. 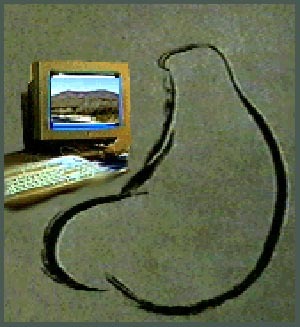 It’s central tenant is mitate or re-seeing, an awareness of beauty in unexpected forms. 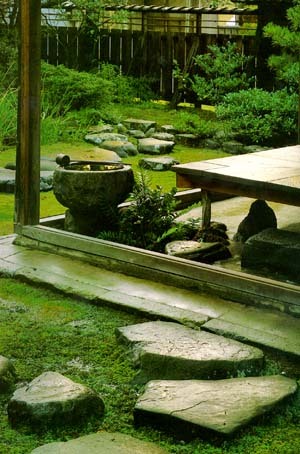 Gardens were constructed with these ideas in mind, to help the person passing through them move from the formal world into the informal sanctuary of the tea ceremony. At that time, the Roji (tea-style) garden associated with the tea ceremony was a break-through. 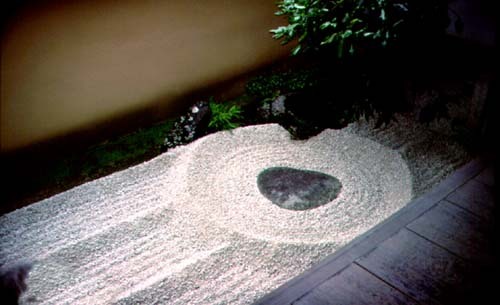 Zen gardens had become static, things viewed from fixed points with specific meanings to be discovered by the viewer. Tea-style gardens are modest and subtle, but not unfathomable. These new principals, from the Roji gardens, were combined with the earlier extravagant dry landscape style by Kobori Enshu and his patrons to create the stroll gardens that accompany Sukiya-shoin style villas. Shugaku-in’s garden is the perfect example of this. I’d like to take you to these places. You’ll see the details, confirming or challenging your ideas. Masterpieces of form and function, the Gardens of Japan have something for everyone. Come for a remarkable experience! rom Kansai international airport we’ll take a train into the very heart of Japan’s second biggest city, Osaka. Long renowned for it’s inhabitant’s love of food and making money Osaka is a vibrant and exciting city; truly dazzling in the evening. The Allied destruction of this city did nothing for it. The flat concrete expanse that is the physical city is not particularly appealing. But a city is much more than the structures it inhabits. Osaka is one of those cities which throb to a human pulse, not that of the motor vehicle or of history. A city of business people, utilitarian constructions abound, but so do vibrant people. Often characterised in plays or on TV as money grubbing or loud Osakan’s stand tall in what you’d expect to be a flat field. 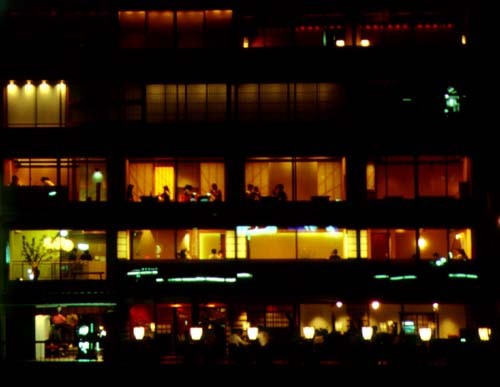 As home to some of last century’s greatest business conglomerates, the Zaibatsu, and some of Japan’s famous mafia families, the Yakuza, you can expect to see some ostentatious wealth splashed about. This is the complete antithesis of Tokyo’s displays of wealth through knowledge of quality. Osakan’s like to flaunt what they have and flaunt they do. Urban Magic ! In Osaka we savour something of this modern flavour as well as the ancient. We visit Heimeiji Castle, the only extant one of it’s kind in Japan. This huge wooden building was designed to look as though it’s eaves were the wings of a bird about to take flight. ara; thousand year old statues, massive old buildings, and Chinese influenced gardens of the Heian period. Design in the Heian period was intended to give the impression of a lush and languid natural paradise. The builders of these gardens abhorred raw nature and therefore placed each piece of moss and pebble individually, attempting to create an idealised version of nature. 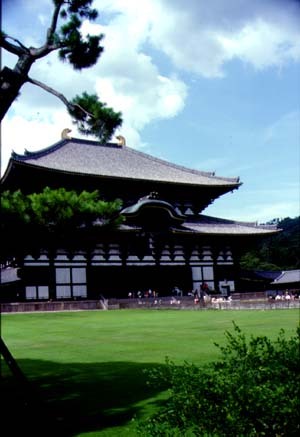 Though capital for only seventy four years (710 to 784), Nara saw the move to form a politically unified Japan and the beginnings of state sponsored Buddhism. 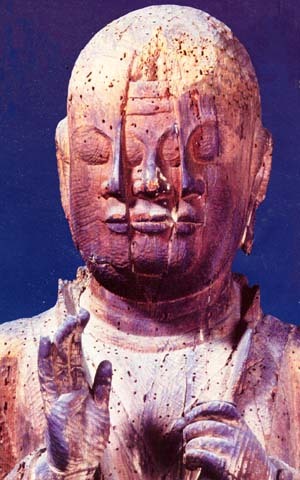 In 743 the emperor Shomu constructed a giant bronze Buddha. A huge temple was built to house the statue and when opened it attracted visitors and presents from all over the Buddhist world. Cut glass bowls from Persia are still held in the temple’s treasure house. 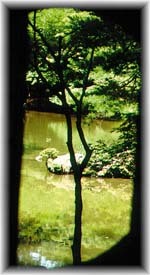 Cut glass was a treasure not seen in Japan for another eight hundred years with the arrival of the Portuguese. Now a quiet rural city where deer wander the streets, Nara's quiet contrasts with Osaka’s hurly-burly. yoto is a short train ride from Nara. Kyoto, old and new, provides us with a lot to explore; quaint thatched villages, Emperor’s homes, gardens and it’s intense history make this city one of the most enchanting in modern Japan. One or two of our days will be schedule free for those who wish to visit places of their own interest such as Tokyo or Hiroshima. The heart of Japanese culture to this day, this is a city that makes ‘living cultural treasures’ appear not at all out of place. Giant ferro-concrete structures next to two hundred year old homes, the contrasts are fascinating. Like many of Asia's modern cities, leaving the road to enter a garden or temple precinct drops you into a land that time forgot. Exposed wiring and telephones giving only the faintest of clues that the twentieth century awaits outside. Still fiercely traditional in many things Kyoto residents maintain their historical reserve. Often characterised as being ‘holier-than-thou’, and possessing an overly formal way of speech, Kyoto-ites have the poise one would expect of people long at their country’s political and cultural heart. ount Koya; the home of Japan’s Tibetan-like esoteric Buddhism, this temple provides an idea of what Japan must have been like in the past; mist-covered and wooded; it’s pace of life dictated by the seasons and festivals associated with them. A magical spot. Koya is your chance to experience old Japan. ating tofu from a lacquered bowl in a temple where one of the first men to bring Buddhism to Japan still sits in meditation; towering cedar trees; quiet streams stocked with colourful carp; slurping your spaghetti so the cook knows you like the dish; watching bitter green tea being prepared as it has been for five hundred years; seeing thirty thousand people shopping in one street; finding electronic gadgets two years before they arrive at home; and discovering that most everyone hopes their children will get a good job and do the best they can do. All these things, without even mentioning the gardens, crowd to inundate the senses on your trip to Japan. And I haven’t talked about the food! Unlike the spice of other Asian nations Japanese cuisine ranges from the sublime (Kai-seki) to the ridiculous (baby octopus). However, it is not all rice and raw fish! The Japanese eat often and well and Osaka is especially famous for it’s food. Japan is very safe this is one country that you don’t have to worry about being mugged. Businessmen after a hard night’s drinking are able to sleep unmolested on the street, until trains start in the morning. Hopefully we’ll neither be incapacitated nor miss our trains, those cardboard boxes aren’t very warm! iterally translated Ryo means journey or trip, and Kan means building. Thus Ryokan are places where travellers stay. Historically only people from certain areas, or having particular professions would stay at particular Ryokan. Ryokan are charming places to stay. They are much more personalised than hotels; in many ways rather similar to ‘Bed and Breakfast’ establishments. Most are run by families, who carry on the family business in a style which has changed little over many years. As you would expect, with such a historical perspective, both guests and proprietors have expectations to fulfill. Guests must try not to offend their hosts and proprietors should ensure that their guests do not feel ill at ease; so there are minor rituals which ease the transition from ‘arriving traveller’ to ‘honoured guest’. I shall initiate you into these formalities which add considerably to the ‘Japanese experience’ and the charm of life in a ryokan. Because of their history, ryokan are usually in older parts of town where the traditions of daily life are less pressured. Their interior gardens and the decor of the rooms are all designed to create a sense of peace away from the bustle of street and business. In short, ryokan are fun! aving quite recently been a farming economy, and to this day very parochial, local cuisine is especially prized. In the Osaka region there are a number of local delicacies which we’ll be able to try; Osaka style Okonomiyaki (cabbage pancake, with your favourite topping, cooked on a hot plate); Ikayaki (sliced squid crepe); and Tako yaki (sliced octopus fried into balls with a thick dark sauce). If you prefer something less exotic, McDonalds is everywhere, one of best value for money meals in Japan. Most of the other north American franchises are also represented, with a Japanese flavour, in Kyoto, Osaka, and Nara. If fact, all types of food are available for a price. here will be time in both Osaka and Kyoto to shop. Even a day trip to the Ginza in Tokyo is possible for the die-hard boutique goer. Cameras’ and consumer electronics’ are available at duty free prices, but don’t expect bargains, just things that may never see at home. Handicrafts from all over Japan and the world are available. Quality being highly prized, these tend to be expensive. Japanese hand made fabrics and pottery are particularly oddly priced. Some have huge price tags while other similar pieces go for a song. Often the only difference is the maker, or name associated with the piece. This variability is sometimes a boon and at other times a curse, as I follow the "if you like it buy it because you’ll never see it again" maxim. If there is sufficient interest we’ll include a trip to a Saturday flea market at one of Kyoto’s many temples, great fun and often where you’ll see that special something to take back home. apan does have an easy to use and extensive public transport system. We shall use this for much of our travel. This will require some walking between connecting terminals, and between stations and our accomodation. Obviously, any holiday is more enjoyable if you are physically fit. The distances between station platforms and the size of temple complexes require that you should be a reasonable walker. It is essential to have a suitcase on wheels or a luggage trolley. A day-pack and wheeled-suitcase is a good combination to conveniently cope with all the circumstances we shall encounter. We shall stay in ryokan (traditional local inns), sleeping on futons, mats of foam or wool, placed on the floor. These are more austere than a feather bed but comfortable. However, you do have to be sufficiently fit to get on and off the floor. If you have concerns about fitness or mobility, I am happy to discuss these issues. he minimum client number for this trip is five. The pictured ladies will not be accompanying us, but we may get to see their descendents in the streets of Kyoto. If there are fewer clients then the trip may still be able to go ahead for an increased fee, but I’ll consult with all interested parties at that time if this occurs. Our greatest disappointments are nearly always for what we haven’t done - not for what we have done. And don’t let the feeble excuse of work keep you back; remember the Haitian proverb: If work is such a good thing, how come the rich haven’t grabbed it all for themselves ? hose who wish to travel elsewhere in Asia or travel on to Europe may prefer this option. Please note: These prices are not final, I reserve the right to make changes should major movements occur in currency or airfares.N.B. If you choose the land-only option please organise your air travel early. Flights to and from Asia are very heavily booked. I am happy to help with suggestions and flight bookings if you wish. Please note: These prices are not final, I reserve the right to make changes should major movements occur in currency or airfares. A personal introduction to some new places and interesting people with me! 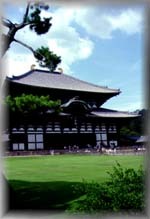 · Return economy airfare from Christchurch, Wellington or Auckland to Japan · Twin-share accommodation in all cities · Breakfasts everyday · All Lunches · Airport transfers and departure tax in Osaka · Garden admission fees · Transportation to and from daily itinerary destinations · Two dinners at our mount Koya accommodation. his is a personal introduction to Japan and it’s gardens. To my knowledge a tour focusing on the Gardens of Japan, is not offered by any other company from New Zealand and specialised tours to Japan are rarely offered internationally. There are definitely no tours from New Zealand accompanied by someone like my-self, a Japanese speaking five year resident of the Osaka-Kyoto area. Please compare this trip with other garden based tours to more common destinations. Footprints provide quality and personalised service. Nothing less. Japan is often rushed, but it does not have to be. Ambling and experiencing one place thoroughly pays bigger dividends than visiting everything and just seeing it. On this trip you’ll have time to visit some very special places I know well. You will treasure your Japan experience for a lifetime.